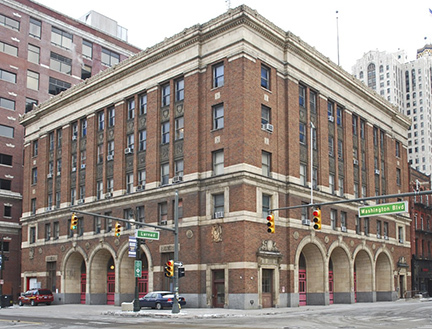 Detroit Foundation Hotel combines communal, industrial and luxury design to transform Detroit’s former Fire Department headquarters (built in 1929) into a 100-room hotel. With spaces designed for socializing, creating, eating, drinking and relaxing, they plan to bring together world travelers and neighbors and showcase Detroit’s legacy and knack for innovation. The Foundation also features a groundfloor restaurant. They partner with Detroit’s many local distillers, brewers, farmers and other edible sundry purveyors to deliver an authentic Detroit experience.